How the 404 error message can turn mistakes into customer experience opportunities. A great meal delivery service’s tricks for serving a great experience along with lunch. IKEA’s bold experiential ad campaign. Joey has finally pulled the trigger and become a subscriber to a meal delivery service. He went with Factor 75, which offers food that is keto, paleo, and dairy-free. We look at how this service has transformed lunch from something that was not a healthy choice into an easy, healthy choice, and what they’re doing right about making meal delivery into an experience. Make it super easy to do business with you, especially for first-timers. Your directions can be even simpler than you think. Sometimes you have to help your customers realize that they have a problem before you can help them solve it. Joey was reading an exciting article, but when he clicked a link to dive even deeper into the topic he was stopped in his tracks by the dreaded “404 Error: Not Found” message. We talk about how attention to the little things can make turn mistakes into customer experience opportunities. Don’t let mistakes like a 404 be a lost page, turn it into something unexpected. Get someone who finds a 404 back to your homepage, or a page that you know converts well. Have some fun with your messaging, even if it’s for mistakes like an error message. Go to your web person and ask about what your 404 Error Message looks like, and how often they hit that page. This week we’re looking at an article by Tim Nudd, the title of which you’ll have to read after you follow the link. IKEA ran an ad in one of Sweden’s most influential magazines for women. The ad has an interactive element that goes above and beyond, and we discuss the implications. Experience is becoming part of everything. Sometimes a message that will resonant with your target audience may alienate some other customers you serve, so make a calculated decision if you’re doing that. Always be looking for ways to take something old and make it new again. 1986 is the year that Pat Sullivan and Mike Muhney released a customer evaluation system called ACT. This marked the origins of digital CRM, and these systems have only grown since. Make sure that you’re not working with something 20+ years old and upgrade your CRM to track what you need to track about your customers. Joey: Join us as we discuss keto, paleo, dairy free meals direct to your door, the mistake most companies make with their error messages, and special offers for pregnant moms. Dan: Healthy, error free, and pregnancy, oh my. Joey: Sometimes a remarkable experience deserves deeper investigation. We dive into the nitty gritty of customer interactions and dissect how and why they happen. Join us why we're dissecting the experience. Joey: Well Dan, I did it. I finally gave in. Dan: You're tweeting multiple times a day now. Joey: No. No. No. And that probably isn't going to happen anytime soon. Actually, I'm referring to the fact that my wife and I recently became subscribers to a meal delivery service. Dan: Oh, so you're one of those. Which one did you choose? Joey: One of those. Well, we decided to go with a service called Factor 75. They offer organic, non-GMO meals delivered straight to the door on a weekly basis. I don't really pay as much attention to this stuff as I should. But my wife informs me that the meals are keto, paleo, and dairy free, and they're kind of super healthy and supposed to be good for me. Dan: Not knowing what keto and paleo even are, I'll still bite. See what I did there? Yeah. Joey: You did make a bite joke about the meal delivery service. Yes, thank you. Dan: So what caused this sign up? Why did you do this? Joey: All right. Well, here's the deal. I work from home. And the way we have it set up in our house, I think I've talked about this on the show before, my wife loves cooking and I am more than willing to do dishes. So as a general rule, when it comes to dinner, she does the cooking and I do the dishes. And because she does the cooking, we eat very healthy for dinner. Breakfast, I've never been a breakfast guy, even as a kid. Joey: I just don't eat breakfast. Dan: First time we're finding that out about each other. That's cool. Joey: First time we're finding that out. Now back in the day, that was seen as being weird. Now people in the medical field think of me as doing intermittent fasting because I don't have breakfast. I just am not hungry when I wake up, so that leaves us with lunch. And here's the problem with lunch. I have a tendency when I'm working to get very focused on what I'm doing and lose track of time. And next thing I know, I have about 15 minutes for lunch. So I'll race upstairs to our kitchen and try to throw something together. And invariably when I do, while it may be tasty, it is not at all healthy. And most of my lunch meals are historically been measured by how long they take to make. There's the minute 45, which is a quesadilla in the microwave. There is the two 45 to three 15, which is the two peanut butter and jelly sandwiches, basically not healthy, not a good choice. And so my wife said, "Look. We're trying to be healthier. We're making this commitment. I'm going to take responsibility. I'm going to track down some lunches for you." And she found this really cool company called Factor 75, and what they do is, they ship meals direct to your door. I eat them as lunches. I mean, you could eat them as dinner, or I suppose even as breakfast. But I eat them for lunch and they're actually incredibly tasty. And it has taken something that was definitely not a healthy choice and made it an easy, healthy choice. Dan: Well, so I try to eat healthy as well and I like to call myself a wannabe vegetarian because although I eat meat and enjoy meat, I really like vegetables a lot and have no problem ordering the vegetarian sandwich on the menu or whatever it is. In fact, today I had a delicious artichoke, tomato, and mozzarella cheese sandwich with a little basil on it, and it was delicious. Dan: It's kind of interesting because it is hard to make healthy food and it's usually expensive at the store and this is why we buy so many packaged goods. So tell me a little bit about what you're getting in these boxes and whether you've been enjoying them so far. Joey: Yeah. So it's pretty cool. Basically, they come as individual meals. As you might imagine as an experience guy, I'm actually a big fan of their packaging. It's extremely straightforward and easy to use. It's like a cardboard sleeve around a kind of plastic dish that has a little bit of a clear film over it. For most of the meals, you pull it out of the cardboard sleeve. You use a fork to poke holes in the film, and then you microwave it for 60 seconds. Take it out, peel the film off, stir something around a little bit. Put it back in the microwave for another 60 seconds and then you're ready to go. So in terms of ease of use and speed of preparation, I love it. And it's a nice counterbalance as to what my old criteria was. How fast can I make my lunch? Where it gets healthy is, the food is really high quality food and it's getting me to try things that I wouldn't have otherwise tried to liked, like cauliflower rice, which I didn't even know, to be frank, was an actual thing. But they do Mongolian beef and cauliflower rice, and luckily I ate it before I read that it was cauliflower rice, or I might've been a little more hesitant. But even just their messaging and their packaging does a really nice joy of setting the tone. 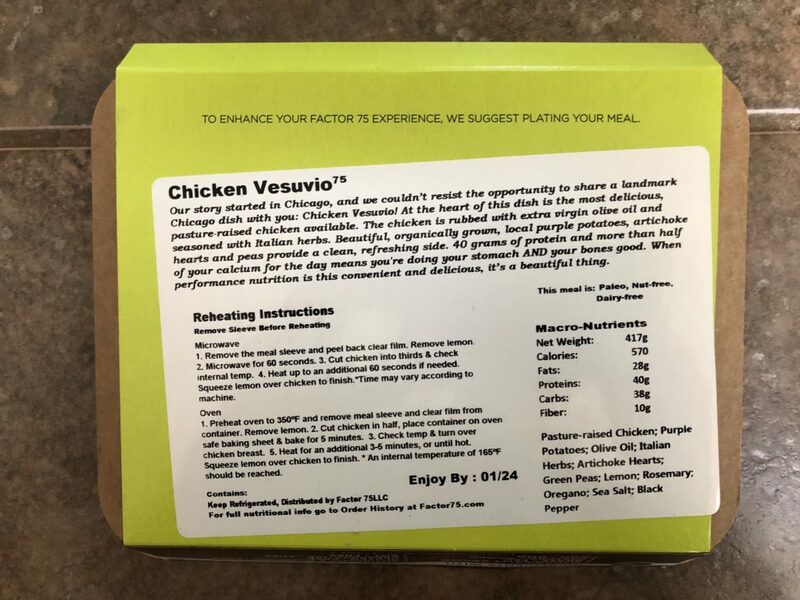 And the one piece that I wanted to specifically call out in our conversation about this, on the cardboard sleeve for the box, it says, "To enhance your Factor 75 experience, we suggest plating your meal," which I thought was a really subtle way for them to say, "Look. We know we're sending you a meal in a plastic plate, basically." It's really high quality food, but for them to be able to ship it and keep it cold and be able to be microwavable, they're not sending you dishes. They're sending you kind of the traditional plastic takeout type packaging. But they are encouraging you in their marketing to put it on a plate, which by the way, is of course going to make you feel like it's an even better meal, or a nice setup, or a nicer thing. So yeah, it's working surprisingly well. They definitely have some playful language in their marketing. To give you an example, the one I had today for lunch, the brisket plate, Factor 75's brisket plate allows you to enjoy this barbecue classic without the guilt. We paired grass fed beef brisket with our homemade chipotle peach barbecue sauce to bring out the flavor. Organic asparagus, parsnips, and sweet potatoes deliver low glycemic carbs for sustained energy. This dish is packed with nutrients including iron, vitamin A, vitamin C, and fiber. This is an indulgence you can feel good about. So they're actually having fun with it, which definitely contributes to my personal experience, not to mention, the food tastes good. Dan: Yeah. We talked in a previous episode when we reviewed the book Mindless Eating about menu descriptions. And it sounds like they definitely figured this out that they can make this stuff sound a whole lot better than a sandwich for lunch, and it certainly sounds like it is better than that. And I think the plating thing's really interesting. You're totally right. It changes the experience from eating what sounds like a microwave dinner to what sounds like an actual meal, and I think that's really smart. I'm surprised more of the traditional Stouffer's and Lean Cuisines and stuff like that don't suggest doing the same thing, because I think that would alter the experience quite a bit as well. Joey: Absolutely, and I think it's a little thing. Right? Because, I'll be candid, I don't always plate it after I microwave it because sometimes I process that, again, as the guy in our house who does the dishes. I'm like, "Do I really want to create another dish that I have to do when I'm done with lunch?" But just the fact that they would kind of go through that process, I found it interesting. So I think the key takeaways we can learn from my experience with Factor 75 and how you can apply what they're doing to your business, number one, make it super easy to do business with you, especially for first timers. These packages arrived in a cold box, which incidentally, everything was recyclable, which was awesome. And you pull them out and you put them in your refrigerator. And then literally every day at lunch, I just pull one out. And it says right on the side what it is. And it's kind of written so that when they're stacked in your refrigerator, you can easily see what it is instead of pulling it out. So they make it really easy for me to select what meal I'm going to have. Number two, your directions can be even simpler than you think. Any time that food is involved, I'm not a food prep guy, I start to get a little anxious. And when I had the first one I was like, "Oh, geez. What am I going to have to do? This is like some highfalutin vegetables and all this stuff. It's going to take me 20 minutes to make this." And it's like, remove meal sleeve and peel back film. Heat on high for 60 seconds. It's really straightforward and really easy. So look at your directions. Look at the way you're encouraging your users to use your service or use your product, and make sure that they are so simple that a first timer can use it and be happy. And finally, number three, sometimes you have to help your customers realize that they have a problem before you can help them solve it. I knew that I wasn't eating very healthfully for lunch and I knew that I should make a change. And what I love about Factor 75's messaging is, on every package they're kind of reinforcing that, yes, you're making a decision to do this. And look, you're getting lots of good vitamins, lots of good food in your system, and this is good for you and you can feel excited about it. And that last message where they said, "This is an indulgence you can feel good about," I kind of read that as double meaning. One, it's the indulgence I can feel good about because I'm having this tasty brisket, which normally would not be the healthiest thing. But number two, ordering a meal delivery service for lunch is an indulgence I can feel good about because it's helping me to be more healthy. So check it out, Factor 75, and hope you have lovely lunch experiences. Male: We love telling stories and sharing key insights you can implement or avoid based on our experiences. Can you believe that this just happened? Joey: So Dan, I was reading this great article today, and as is often the case when I'm reading on the internet, was super excited that there was a link to take me into another article on that website where I could dive deeper into the topic. And guess what happened when I clicked on that hyperlink. Dan: You lost the next hour of your day going down the internet rabbit hole reading articles. Joey: You know me all too well, my friend. Right? You would think that's what would've happened, but actually, no. Instead, I was stopped in my tracks by the dreaded 404 not found error message. Joey: Yeah, exactly. And I know all of our listeners are probably all too familiar with this experience where you're cruising along in an article and you click on a link, only to have the computer return an automatic error saying, basically, the webpage you're looking for can't be found. It's not fun. Definitely breaks the flow of your learning, or your reading, or your exploring, or however you want to categorize your online activities. And it's just not a good thing. Dan: Yeah. 404 error messages are no fun, and they're obviously annoying to the user. But they're tough because keeping track of all the links on your website is hard. And certainly, when you're linking to someone else's website, it's almost impossible to keep track of the links on their site. So it is one of those annoyances of the web that comes up every once in a while, and it can stop you right in your tracks. Joey: I totally agree. But here's the thing, as we talk about a lot on the show, it's not an easy task to stay on top of this. But then again, when it comes to creating remarkable customer experiences, it's the little things like this that are worthy of our attention, which is why I wanted to talk about it in the episode today. 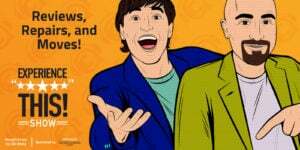 You and I both had the chance to come across a cool blog post by the incredible Neil Patel recently, called Five Ways to Turn a 404 Error Into a Sale. I feel like I kind of might have jinxed myself having read that article about a week and a half ago and then seeing this message. But I thought Neil's article did a great job of showing how a negative website experience, a 404 error message, can be turned into something a lot more positive if you're willing to think a little bit about it. Dan: Yeah. And this is a perfect example of what we talk about on this show a lot, about how it is the little things that matter. And a lot of companies forget about an error page and they just have this random 404 error message. And Neil's first suggestion is to make sure that page includes a search box because usually when you hit an error page, you were looking for something and obviously you didn't find what you were looking for. And so by giving them a search box, by giving the user a search box, it at least helps them get out of the error message page and get to a point, which is hopefully a little bit more useful for them. And it also kind of makes the error page useful versus being just a complete waste of space, while also improving the experience. The second that he says is to use a 404 error page as a lead magnet, which I think is really pretty interesting. So if you put something fun, or useful, or informational, interesting, on that page, you can actually capture an email address when your website visitor was least expecting it because they were looking for something. They found something even better, and now you've got their attention. Joey: I totally love it. This is the turning lemons into lemonade move. Right? They're there. They're thinking, "Oh man, 404 error." And suddenly, when their guard is down, you hit them with, hey but here's this cool thing you can download if you're just willing to give us your email. Absolutely brilliant. The next suggestion that Neil gives is to use the error message to offer a coupon. Now this is an interesting model and I've seen it on a couple of websites. Land's End does this well. This works for a couple reasons. Number one, according to Ad World, 98% of first time site visitors aren't going to convert or purchase from you. That means only 2% of your traffic is actually converting on the first visit. So there's a lot of people that already are thinking they're going to just hit it and move on. Secondly, by offering them this coupon, you give them a little incentive to maybe shift into that 2% who will actually buy something or try. Third, this capitalizes on what they call in the biz, exit intent. Right? So this is that idea that when someone comes to a 404 page, they usually are going to just leave your website because they're frustrated that they didn't find the thing they were looking for, and so now they're going to close that window and move on. But by giving them a coupon, you actually entice them to stay a little bit longer and potentially put that coupon to work. You can even have fun with this by maybe calling it a prize for lost travelers, people who stumbled into a part of the website they weren't supposed to be. And because they found this secret spot, they found a secret coupon or a secret bonus, so we can have fun with this. At the end of the day, mistakes are only a bad thing if you let them be a bad thing. So instead, if you look at a 404 error as a mistake that you can capitalize on, you have the opportunity to turn this mistake into more business. Dan: Yeah. And related to that, Neil's fourth suggestion was to direct them where you want them to go. They're obviously at this page by accident, and if you put some clear language and some specific navigation on there, you can actually direct them to certain pages on your website that you know they would be interested in and that also convert well. And I think the final thing is to have fun with it. And there's definitely some great examples in Neil's article, which we will link to in the show notes at Experiencethisshow.com. One of my favorites was from the video hosting site Wistia, and it shows a dog, which just happens to be their mascot named Lenny. And the dog is chewing up a video tape with a message that says, "Oops. There seems to be a problem with that page." And so it allows the company to have fun, to promote their brand and their mascot, and it gets you engaged because there's also a button there that gives you a chance to see more of Lenny. Joey: I love it. Pets and kids, always a great way to keep someone's attention and/or make them laugh. Just get pets or kids involved. So what are the big takeaways from our 404 error message conversation? Well, number one, don't let it be a lost page. Do something, people. Turn it into a search page, or a lead magnet, or an exit intent coupon offer. Do something that takes advantage of the fact that they're on that page and go at it in an expected way. Number two, at the very least, get them back to your homepage or some other page that you know is useful, important, or converts well. Make sure there's a clear navigation move back. Number three, have some fun with it. Inject a sense of humor and playfulness that allows you to connect with the folks that are on this website and counter the negative emotions they're feeling for finding the 404 error message. If you can replace those negative emotions with a positive emotion, you create a sense of fun and playfulness. Remember folks, there are countless opportunities out there for creating little moments of magic when it comes to your customer experience, and the 404 error message is one of these. So bonus takeaway, number four. What do you do tomorrow? Go to your web person and say, "I'd like to see a picture of what our 404 error message looks like." I guarantee that nine times out of 10 it's going to be a standard, generic, boring, hey, you didn't find what you were looking for. Oops. Sorry. Jump in and try something different. You could also ask your web person, "How often is someone hitting that 404 page?" Which gives you an opportunity to see if there are a lot of broken links within your website, that obviously are contributing to your user experience. And even if there aren't, create these little magic things for them to find. Any mistake is the opportunity for additional marketing if you do it right, so go make those 404 pages look pretty. Male: There are so many great customer experience articles to read. But who has the time? We summarize them and offer clear takeaways you can implement starting tomorrow. Enjoy this segment of CX Press, where we read the articles so you don't need to. Joey: Depending on your degree of sensitivity, the following segment may not be something you want younger listeners to hear. But the story and subject matter was so fascinating to us that we had to discuss it on the show. Hopefully you'll agree that it was worth talking about. Today's CX Press article comes to us from Tim Nudd, the creative editor of Ad Week and editor of Ad Freak, which is the daily blog at Ad Week. And Tim's article is entitled, and I'm just going to read this once, folks, Ikea Wants You to Pee on this Ad. If You're Pregnant, it Will Give You a Discount on a Crib. As you might imagine, Tim didn't bury the lead. The title pretty much says it all. Dan: Has been creating incredible ads for Idea. And in fact, the agency was named to Ad Week's international agency of the year for 2017, which is a huge honor and one that is very well deserved. But here's the scoop on this one. Ikea ran an ad in Amelia Magazine, which is one of Sweden's most influential magazines for women. 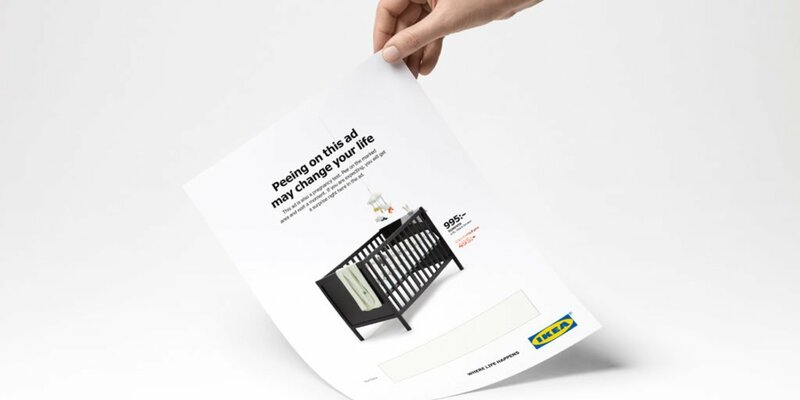 And the ad shows the standard Ikea-esque, minimalism of a baby crib with a price tag of 995 Swedish krona, and a headline that says, "Peeing on this ad may change your life." Joey: As if that wasn't enough to get your attention, the ad really gets interesting when you scan to the bottom of the ad and see a strip that actually encourages you to pee on the marked area. Now interestingly enough, if you're pregnant and you do this, the ink on the ad changes, much like the technology that is familiar from home pregnancy testing kits. And what it does is, it reduces the price from 995 Swedish krona to 495 krona if you're a part of the Ikea family program. In short, if you're pregnant, Ikea will offer you a better price on a baby crib. Now, this ad was created with the assistance of Mercene Labs, and actually required a bunch of technological and technical advancements in order to make it work. According to the ad agency, Mercene Labs used their skill in the development of surface active materials for micro-fluidics and medical diagnostics so this would work as intended. Now interestingly enough, also according to the ad agency, the technical advancements that they made while creating this ad campaign have the potential to improve medical diagnostics because of the things they learned while they were creating this. I've got to say, Dan. What do you think about this ad? Dan: Well, I have to say of all the topics that I thought we were going to cover on this podcast, micro-fluidics was never on there. But I'm glad that we have hit it because we cover everything here on The Experience This Show. But listen, I loved this ad. This ad is absolutely incredible. And we talk about personalization and creating an experience. And this is doing that in spades. And I think that we're going to see more of this immersive advertising than we have before. If you kind of rewind back many years, this sort of reminds me of the old smell-O-vision or a scratch and sniff type of an ad, or the books that we read as kids. And those were really cool and experiential as well. This obviously takes it to a completely different level. But I thought that it was not only incredibly innovative, but just right on target in terms of who they're talking to, what the product is, and then what you have to do in order to get the discount. I loved it. Joey: I totally agree. I thought this was brilliant. And one of the things that I'm anticipating some of our listeners, although we have super cool listeners, so maybe some of the people that are in the car with our awesome listeners, might be saying, "Okay. This is too far. This is too extreme. This is inappropriate." Here's the thing. We live in a day and age where we are so bombarded with ads and so bombarded with messages. Doing something different, doing something unique, doing something that stands out is pretty much a requirement if you want to get seen. Now I do believe that there is a fine line about being edgy for edgy's sake, versus being actually creative and interesting. And I feel like this ad from Ikea really falls into the category of being interesting and creative and with purpose behind it. And part of the reason for that, without getting too much into this topic, the idea of using a pregnancy kit, a home kid, to test and see if you're pregnant is something that has been around for, ironically enough, we are fast approaching 100 years. Now here's the thing. The science behind this came out in the 30s. The home kits didn't come out until the 70s, so granted we're closer to about 50 years there. But here we are in 2018 with an advertisement that is kind of playing off something that's been around for a long time, but bringing that experience into the now, which I just thought was incredibly creative. And my gut instinct is the pregnant women that this ad is specifically targeting would actually find this very funny and very engaging and very to your point, Dan, personalized to their experience. Dan: Yeah. And I would also guess that pregnant women are a very strong target audience for Ikea. And getting them in the door while they're pregnant is probably a good thing for Ikea, who can sell them a lot more products. What's interesting about this particular technique is that, obviously, if you're not pregnant and/or not willing to pee on an advertisement, then you don't get the discount. And I think that's interesting as well because somebody may be buying a crib as a gift, might be a one time buyer. But again, the pregnant woman is probably somebody that they're hoping is going to be a long-term, loyal customer. And this is a heck of a way to get them in the door. Joey: Absolutely. I think there's two things. One, I actually did a little digging. And according to Ikea, they will honor it even if you don't bring in the ad because technically what they're advertising here is the Ikea family program. And what's interesting there is this ad is designed to target the crib when you look at it, because somebody who is expecting is now like, "Oh man. We need a crib, so we could get one at Ikea." And then because they're maybe moving from a stage of not having children to having children, the Ikea family program is even a bigger incentive for them, where you basically participate in this loyalty program that gives you discounts on family related products that Ikea sells. So it's a pretty sweet program and it'll be interesting to see and kind of check how this actually impacts the sales. The last thing I wanted to say about this before we go to some takeaways is, keep in mind that this ad ran in Sweden. And so if you know anyone who's Swedish, I have some very good friends who are Swedish. My wife is of Swedish heritage. The kind of rules in Sweden compared to "the rules" in the United States are very different. And so this ad is very much targeted for the Swedish culture and Swedish pregnant women as a subset, and I think running this ad in the United States might not have the same impact that it would have in Sweden. But that has a lot more to do with cultural norms and biases than whether the ad is creative or works or not. Basically, our key takeaways from this ad, number one, experience is becoming part of everything. We talk about this on the show all the time, and now we see experience being an integral part of the success of a magazine advertisement. Number two, sometimes the message that will resonate with your target market may alienate some other customers you serve, so be conscious and make a calculated decision if you're doing that. I'm a big fan of, you don't want to try to please all of the people all of the time because as a result, you end up pleasing no one. But know that as you kind of lean into more adventurous experiences, you may distance yourself from some of your other customers. And finally last, number three, always be looking for ways to take something old and make it new again. As I mentioned earlier, pregnancy sticks have been around for almost 50 years now. And yet, Ikea and the fantastic folks at Åkestam Holst were the first ones to say, "Let's take that technology and throw it into an ad." So everything that is old is new again. Create something new. Create an experience. Best of luck as you create those type of ads and interactions with your customers. Listen in while we try to stump and surprise each other with a fantastic statistic from the worlds of customer experience and customer service. It's time to check out this number. Okay, Dan. This week's number is actually a year, 1986. What do you think it refers to? Dan: I am so glad you brought up 1986, Joey, because of course it's the year that the Chicago Bears won the Superbowl. Joey: Oh my gosh. You know, I knew there wasn't a Cubs reference that you could make out of 86, or at least a positive one. But sure enough, keeping it real, keeping it to sports in the Chicago land, Dan brings out the 1986 world champion Chicago Bears. Actually, the 1986 I'm referring to is the year that Pat Sullivan and Mike Mooney released a customer evaluation system called ACT. Basically, it was the digital version of a Rolodex and this marked the origins of digital CRM. CRM's come a long way since then and is poised for some really interesting advancements in 2018, thanks to AI, social care, APIs, and the internet of things. And you can learn more about these trends driving CRM enhancements at smartercx.com/experience this. Dan: Well, first of all, just so we don't get any calls about this, it really was the 1985 Bears, but they won the Superbowl in 1986 in January, so I just wanted to clarify that. Dan: But 1986, that was a long time ago, and I know because I've been waiting for another Superbowl ever since then. But obviously CRM's come a long way and this has become a part of every business today. And we talk about the interconnectedness of customer experience. CRM's really just the technology that brings all that together. Joey: Absolutely. And ironically enough, and this is not meant as a dig, some of the folks listening out there, you're still operating on systems that kind of were created back in 86 and it's time to upgrade. So great time to look at your CRM and make sure that you're tracking the things you need to track about your customers. For more great customer experience content, make sure to go to smartercx.com/experiencethis. Smarter CX by Oracle is the online home for professionals like you who are building the next generation of customer experience. Definitely go check it out, guys. You'll really find some fantastic in depth analysis, fascinating ideas, and useful tools that'll help you create the remarkable experiences for your customers that I know you desire. As always, thanks to our great friends at Oracle CX Cloud for sponsoring our show.